Once you’ve followed all of the suggestions of the last several days, you should have pared down your bills at least a little. Still, you’ll be left with a few bills that you consider untouchable. Your electricity bill. Your water bill. Your phone bill. You’re not going to eliminate those. In fact, you probably didn’t even look at them when going through the process of reconsidering your bills. Now’s the time to look at them. I’m not suggesting that you disconnect your power or you turn off your phone. That’s ludicrous. What I am suggesting is walking through each of these bills line by line so you can understand what you’re really paying for and, more importantly, see if any of those line items can be trimmed away. 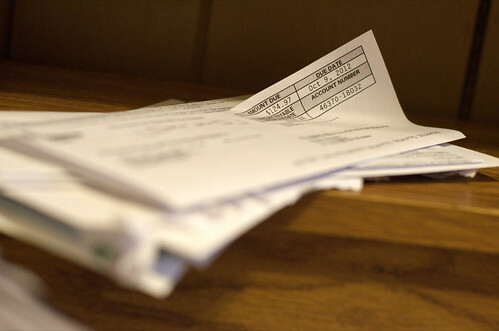 Collect a current copy of each of your bills. This might take you a bit of time to collect. My suggestion is to just have a box somewhere where you drop in each statement you receive for a month. Once you have all of the statements, sit down and review your bills. This can be a fairly long process, but it’s a very financially rewarding one. What you simply need to do is go through each bill line by line and look for any fees or expenses that either you don’t understand or that pays for a service that you don’t actually use. I highly recommend using a highlighter for this. Literally highlight every fee or item on your bill that you don’t immediately understand or that you don’t think you should be paying for. Once you’ve done that for each bill, if you have any highlighted lines on a particular bill, call the customer service line associated with that bill. Talk to a customer service rep and walk through each of the items. Ask if the item can be reduced or removed from your bill if it’s clear that the item isn’t needed. Even if you eliminate just one dollar from each of five bills, this exercise will save you $60 a year, every year, from here on out. Often, during a process like this, you’ll find that you eliminate much more than that. That’s money in the bank.